A prize wheel is a great entertainment prop for childrens' birthday parties, community events or even game nights with family and friends. 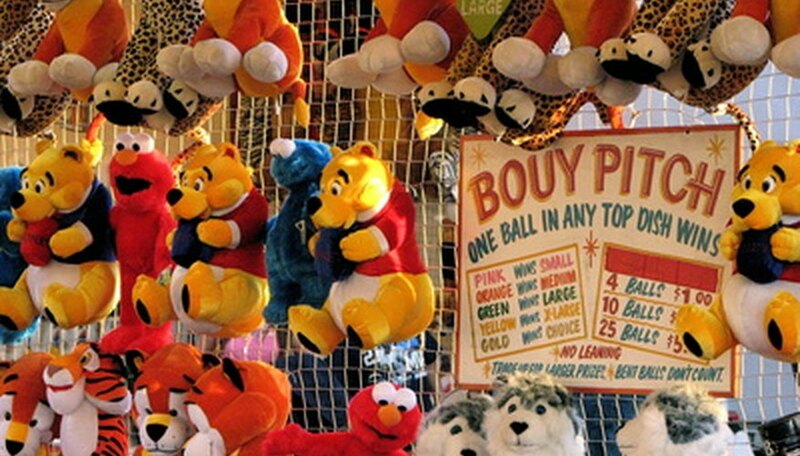 Prize wheels are used in a multitude of ways including games that call for cash or other types of prizes. Although prize wheels are available in some department and party stores as well as on the Internet, it's cheaper and easy to make one by hand. If you have children get the kids involved in designing and decorating the wheel; this is an excellent project for people of all ages and requires little experience to complete. Remove any rails or pegs from the Lazy Susan. You may need a hammer or handsaw to get the thicker pieces off, but most rails and pegs are thin enough to snap off by hand. Measure the diameter of the Lazy Susan using a tape measure. Use a permanent marker to place a dot at the center of the circle. Place the tape measure flush against the dot and draw a line straight down the center of the circle and through the center dot to “split” the Lazy Susan in half. Continue drawing lines across the circle's diameter until the Lazy Susan is divided into at least eight equal parts. Adhere wood dowel rods to each line between each section of the wheel using tacky glue, super glue or another type of strong bond glue. For instance, a wheel with eight sections should have eight dowel rods. Make sure the rods stick out at least an inch when adhered to the wheel. Place the prize wheel on an easel (available at craft stores and major retailers). It's not necessary to permanently attach the prize wheel to the easel, but it can be done if desired. Attach a flap of leather (such as a piece from an old belt or leather shoe) to the top of the easel, just above the top of the prize wheel. The leather should be just long enough to tap at the dowel rods when the wheel is spun. Decorate the wheel as desired with paint, stickers, markers, paper, etc. Make sure each section has an alternating or completely different color than the last to avoid confusion when playing and to add to the aesthetic appeal.